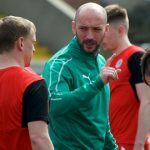 Cliftonville once again required a setback to spark them into any sort of life – but were unable to respond after Glentoran bagged the only goal of the game at The Oval this afternoon. 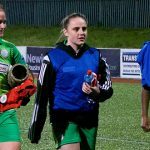 Though Curtis Allen saw a first-half penalty superbly saved by Brian Neeson, the Glens striker would ultimately have the final say when he scrambled home just past the hour and, though the Reds stepped things up thereafter, yet again they had left themselves with too much to do as the hosts held on. Things might have been different had the visitors enjoyed a little more fortune in the opening half with Rory Donnelly first striking the post from close range and then, just after Neeson had denied Allen from the spot, Donnelly was tripped inside the area by Calum Birney, but this time referee Tim Marshall somehow determined that no foul had been committed. Glentoran would go on to score the only goal of the day when Willie Garrett’s attempt to take advantage of Neeson’s struggles with a bouncing ball ended with Donnelly clearing off the line, only for Allen to pounce on the rebound. 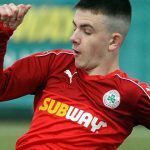 Cliftonville would threaten on a couple of occasions thereafter – Elliott Morris saving from Jay Donnelly and Jude Winchester – before the visitors’ hopes of salvaging a draw ended when Joe Gormley blazed over the top in injury-time. 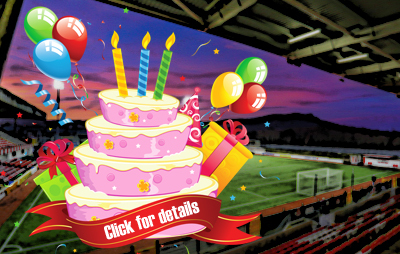 Cliftonville: Neeson, Ives, Breen, Harney, Curran, Harkin, Bagnall, J Donnelly, Cosgrove, McDonald, R Donnelly. Subs: Dunne, Garrett (Bagnall, 33 mins), Winchester (Harkin, 74 mins), Gormley (Ives, 74 mins).